1 Available as additives to a broad range of foods. 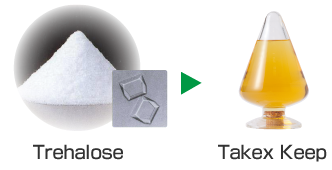 Trehalose is said to be the dream sugar and is used for a wide range of foods.It keeps the water in food and protects cells from freezing and drying. We have developed liquid products using trehalose powder. These have advantages that can be useful for cooking and when evenly added to food. Improved taste and texture of rice. It also looks glossy and delicious. 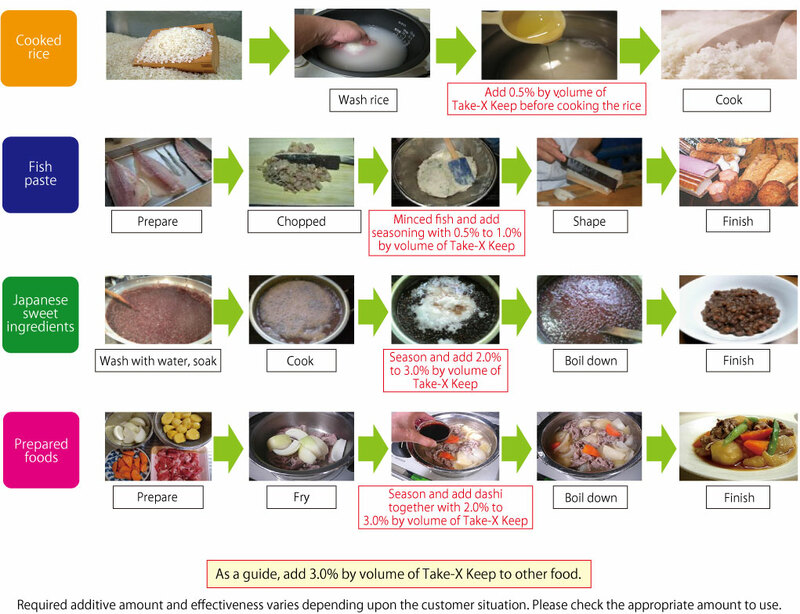 Cost reduction by using old rice. In addition, yield is also improved for further cost savings. The presentation of food when delivered to customers is very important. 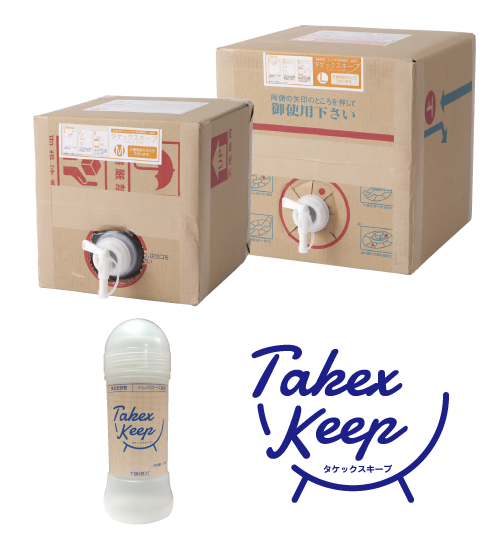 It is helped by Takex Keep, which prevents boiled food from crumbling and maintains the taste. The food can retain a freshly-made texture after defrosting so that every store benefits. There is no odor or discoloration and the liquid mixture makes work very smooth and easy.